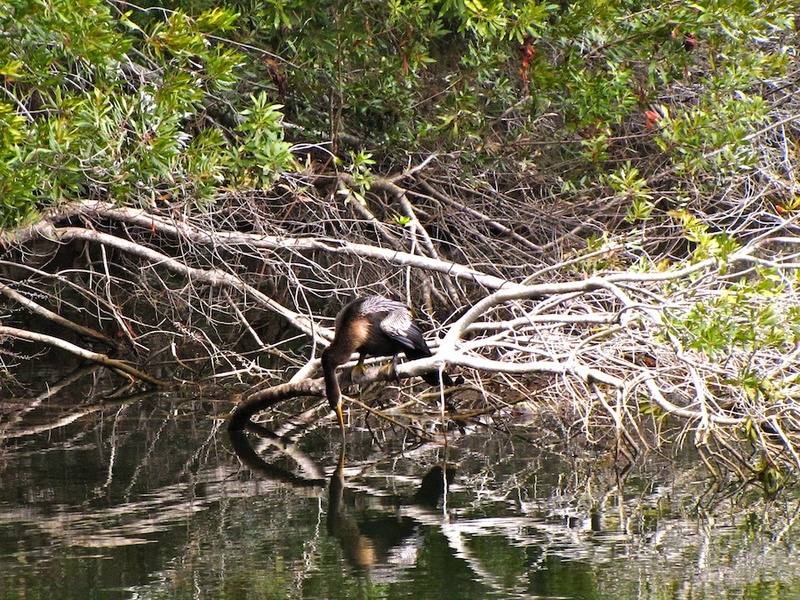 An anhinga (the snakebird) I saw while on Bald Head Island helping with the Audubon Society's Christmas Bird Count. On January 2, I went over to Bald Head Island to help with the Audubon Society‘s Christmas Bird Count. I know what you’re thinking, The Christmas Bird Count? But it’s January. But that was the best time for bird counters on the Cape Fear Coast to get together. I’m not an experienced birder, so I found myself attached to a friendly group who was happy to have a novice along. They even lent me some binoculars. The day was foggy and it was cold and you can read about it on The Island Times, the blog of Bald Head Island Limited. « Wilmington – Winter Wonderland or Snowy Mess?